Well, I kinda freaked out last night. The house was getting to me – the mess, grime and the general…stickiness. The heat was getting to me. The noise was getting to me. Just being around kids…for too many hours in a row…was getting to me. Dang, girl…you need a break! You know your self-care needs attention when you find yourself freaking out at every little thing. I had reached my max capacity for patience, noise, mess, heat and being on. My husband was sweet – stepped into “man-mode” where he tried to fix the problem. There really wasn’t anything to fix. I simply needed time alone – to rest, to veg, to do nothing and to take care of…me. After some quiet time, 30 minutes of the Bachelorette, a good night sleep and a morning walk…I felt much better. Taking a break is what I needed to feel centered again. Sometimes a short break is all that’s needed when we…freak out. Sometimes we need a longer break or our freak outs are a sign that something else needs to be dealt with. When you find yourself irritable, frustrated, angry or at wits end, that’s your cue to pay attention, listen and observe what needs of yours aren’t getting met. I need downtime – plain and simple – to recharge my batteries. But we are continually consumed by being busy and doing more and it’s just so exhausting, isn’t it? It’s important to simplify where we can. We can choose a slower pace more often. 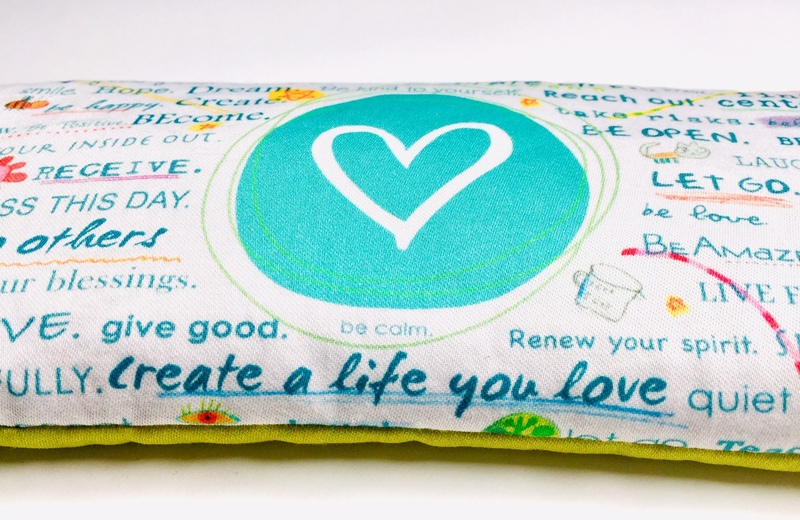 It’s empowering to practice taking better care of ourselves every day. We all hit our breaking points from time-to-time. The practice is in learning what makes us happy, learning how to make space for those things more often and learning how to find center when we get knocked off. 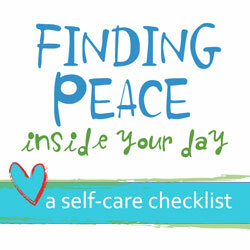 Do you have a daily self-care practice? Are you getting swept away from trying to maintain your incredibly full plate? Are you feeling disconnected from your personal interests or creative dreams? Do you tend to put your needs last and are left not knowing how to even make time for what matters most to you? 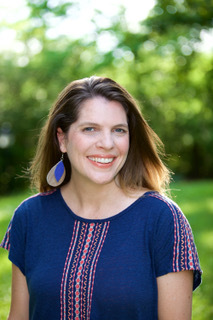 Do you feel stuck in survival mode and want to know what it feels like to thrive? Let’s keep practicing putting our self-care and self-love at the top of the list. Because when we do…we’ll find we feel better! Pay attention to your daily self-care rituals and remember, you are worth it. When you take good care of your mind, body and spirit, you can mother, work and give from a place that is overflowing with energy, kindness, creativity and love. 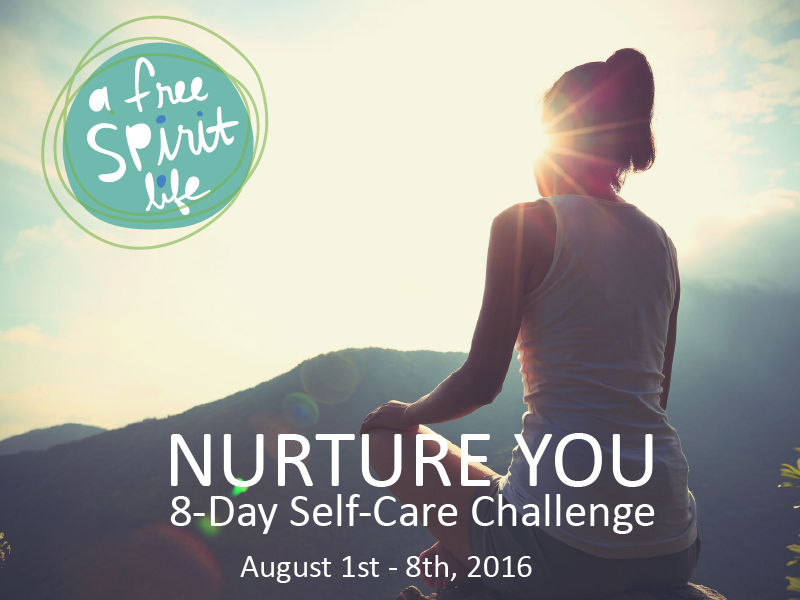 Join me for my new free 8-Day Self-Care Challenge – NURTURE YOU. I’ll gently guide you on an inspiring, non-judgmental, fun exploration of embracing and celebrating who you are, while you discover and practice some simple self-care rituals that will nurture your heart, calm your mind, ignite your creativity and feed your soul. We need to keep giving ourselves permission to rest, to restore, to freak-out and to _be still_ in the midst of busy. It’s important and a vital step on your path to health and well being. Be well and see you soon!